This year has taken the mobile technology a few steps further than what we saw in the last year. This year, you will find many new concepts regarding mobile phone technology that will bring remarkable change in this field. 3D phones and the iPhone Siri service are two such technologies introduced to the smartphone users in the current year. Let’s have a look at some of the path breaking technologies invented this year for the smartphones. This is a fantastic and the most advanced mobile payment technology used to pay for transactions. Whenever a transaction takes place, a phone having the near-field communication (NFC) chip will help to process it. The technology is incorporated in phones like Samsung Galaxy Nexus and many important outlets like McDonald’s have been using NFC-equipped terminals today. Although a number of alternative services are available now to track purchases, NFC still remains the best way to pay by phone. The process is very simple as you just need to tap your phone on the terminal. It can be used beyond financial transactions. It helps to exchange data between two devices just by placing the phones back to back. Very soon, your Bluetooth enabled phone with NFC will be able to connect with your headset without Bluetooth pins. How? Well, just by tapping the devices together. Apart from its basic uses, Bluetooth technology will be further innovated and incorporated in a few more services from 2012. It will start a new protocol called Bluetooth Health Device Protocol that is likely to become a huge success. According to this concept, you can connect your phone to heart monitors, to the step-counting sensors in your shoes, and also to the exercise tools at the gym without the need to attach an external adaptor. It’s similar to the Bluetooth HDP used on the Google Nexus that works without using an external adapter. Is your mobile security on threat? This is the biggest problem some users are facing these days. Although, many users including some mobile carriers have installed mobile security apps like rootkit to counter this problem, one can’t deny that even a hacker could do the same thing, or even install an app to record video and sound when you’re not using the phone camera. A good thing about your smartphone is unlike your PC, your smartphone has an inbuilt advantage as when you connect over a 3G or 4G signal, the carrier constantly monitors traffic flows to and from your phone. It works fine even when you move from one place to the other and the networks also change. The carriers automatically change the connection accordingly and so a hacker will find it difficult to install a rootkit. In 2012, this issue will grow bigger and more and more security apps will come to use. Carriers like Sprint and Verizon have already started using a threat management service called Lookout to analyse traffic and track harmful malware, thus preventing access to your phone’s OS. 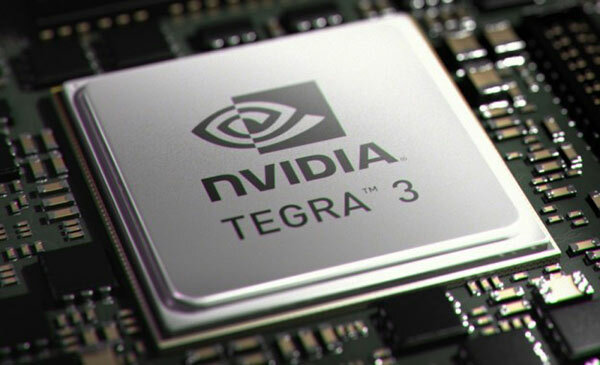 This year Quad-core processors will be adopted in a number of phones and tablets to experience faster gaming. This technology already used in some latest tablets will accelerate processing power for games whilst also saving battery life as with a quad-core processor on your phone, you can check e-mails when closing down some of the programs. With a powerful processor, it will make a difference in your experience of playing games like Bladeslinger, Shadowgun, etc. like wonderful water effects, better resolution of the game characters, and more detailed textures. Another vital effect of a powerful processor is your smartphone and tablet will run faster whatever app you’re using on your phone whether it’s a game, the Web browser, or a simple note-taking app like Evernote. This year will also gift us the first 3D tablet. 3D will have a better effect on tablets than a smartphone screen because movies like Avatar and Tron 3D would be more enjoyable on the larger screen. You can add some more inventions for smartphone technology in the comment section.